A police shootout leaves four thieves dead during an explosive armed robbery attempt in Chicago. Their widows — Veronica, Linda, Alice, and Belle — have nothing in common except a debt left behind by their spouses’ criminal activities. Hoping to forge a future on their own terms, Veronica joins forces with the other three women to pull off a heist that her husband was planning. Starring: Viola Davis (Veronica), Liam Neeson (Harry Rawlings), John Bernthal (Florek), Manuel Garcia-Rulfo (Carlos), Coburn Goss (Jimmy Nunn), Michelle Rodriguez (Linda), Alejandro Verdin (Xavy), Bailey Rhyse Walters (Gracie), Elizabeth Debicki (Alice), and more. 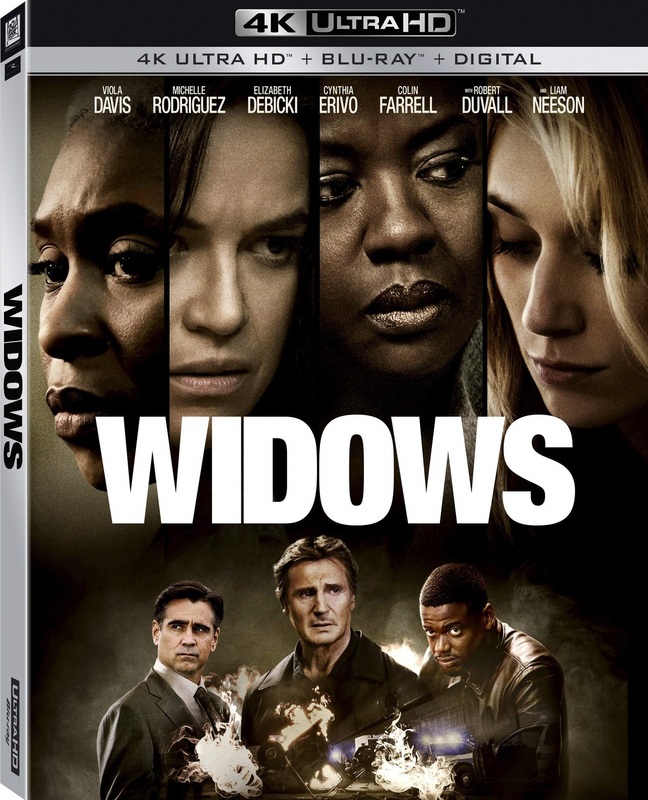 Catch Widows out on 4K Ultra HD, Blu-ray, & Digital February 5th!